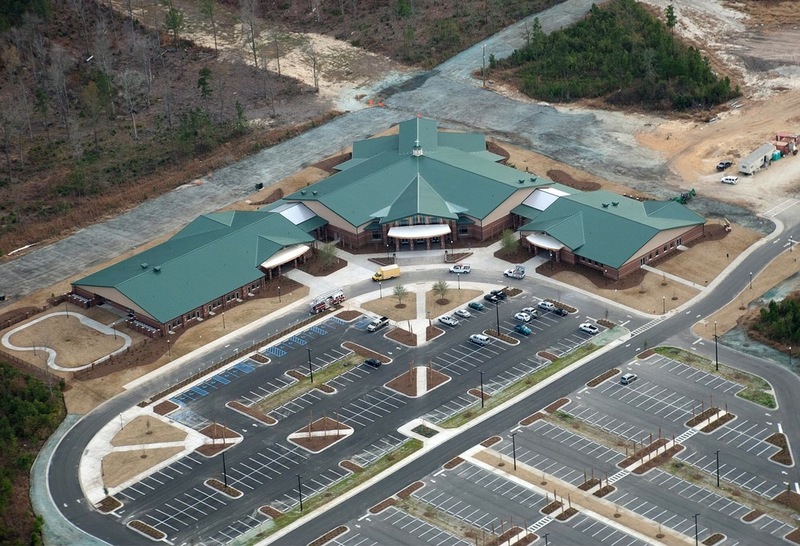 Project included the development of a master plan for a combined, church and private school campus on a 60 acre site in Carnes Crossroads, Goose Creek, SC. Construction documents were subsequently developed for the first phase of the development, the 120,000 square foot sanctuary which included two assembly areas and youth and adult education facilities on a 25 acre parcel. Site elements included an entry plaza and two satellite plazas, play area, and parking with integrated pedestrian promenade and bioswales. Other improvements include roadway extension and extensive landscape.